Waiau River braids draining out of the Southern Alps. Typical braided river character carrying alluvial material down from the ranges. Hanmer Plains and Hamner Ranges right. 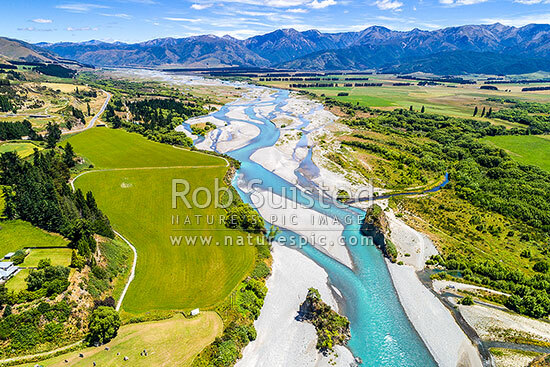 Aerial view, Hanmer Springs, Hurunui District, Canterbury Region, New Zealand (NZ), stock photo.